Last year, we explored several of the top dairy myths, but there is still more dairy misinformation out there. New research and technology continue to make dairy safer than when people first started eating and drinking it thousands of years ago. So, here are a few more truths behind common dairy myths. Myth No. 1 – Dairy farmers don’t practice sustainable agriculture. Fact: Most dairy farmers live on or near the land they farm, so they work hard to protect their natural resources. Because they are stewards of the land they farm, they’re always looking for ways to reduce, reuse, recycle and conserve water. Dairy cows love to drink water, but water on farms isn’t used solely to keep cows hydrated. Water used to clean the milking parlor is often reused to clean barn alleys, walkways or other equipment. Then the same water is often used again to irrigate fields. 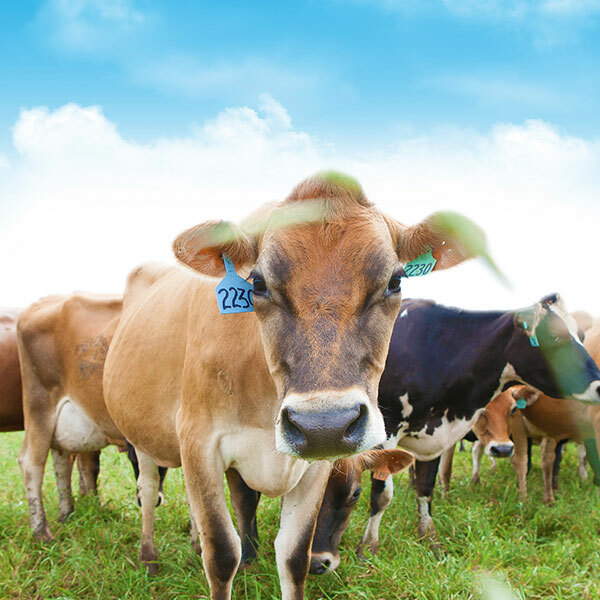 Learn more about how dairy farmers protect the environment. Myth No. 2 – Chocolate milk comes from brown cows. Fact: Seven percent of Americans think chocolate milk comes from brown cows, but all milk, whether unflavored, strawberry or chocolate, comes from white milk, which in turn comes from a variety of cows – whether brown, tan, brown-and-white or black-and-white – and it all provides a delicious nine essential nutrients. Check out a dietitian’s take on flavored milk! Myth No. 3 – Cows like hot weather. Fact: While cows perform their best with weather in the 60s, dairy farmers use plenty of ways to keep their cows cool and comfortable in the summer without getting too hot. Most dairy barns throughout our region are built with open sides to provide shade while allowing air to flow in and out, creating a constant breeze. Combined with giant fans, misters and lots of clean water to drink, some cows have better air conditioning systems than we do! Myth No. 4 – Cows are milked all day, every day and never get a break. Fact: Most dairies milk cows two or three times per day using a mechanical milker, which is fast, clean, and more comfortable for the cows than milking by hand (did you know milk is never touched by human hands?). The type of milking machine varies from farm to farm, but it generally takes less than ten minutes to milk a cow. Cows get to spend the rest of their time napping on water or sand beds, eating a well-balanced diet and chewing their cud. Learn more about how to milk a cow.